This next level course builds on the success of the original TBH BRAIN WORKOUT 1.0 Toolkit with all new ramped-up “brain workouts” and a TBH Personal Best Challenge. Can be taught as a stand-alone course or as a continuation course to the original TBH BRAIN WORKOUT 1.0 Toolkit. TBH Blueprint. 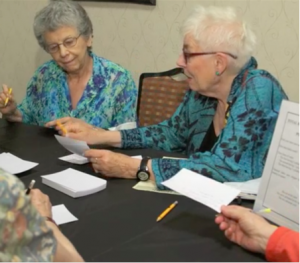 TBH BRAIN WORKOUT 2.0 teaches brain training interventions that span the body, mind and spirit pillars of wellness. TBH Personal Best Challenge. Accompanying this course is the TBH Personal Best Challenge, a daily, self-paced tool for participants to use outside the classroom to boost learning, engagement and outcomes. Flexible Class Times. You pick the number and length of your class times using this course’s unique “building block” approach. Effective Brain Health Interventions. You become the brain health expert using the toolkit’s scripted, social-based brain training workouts for better brain health at any age. 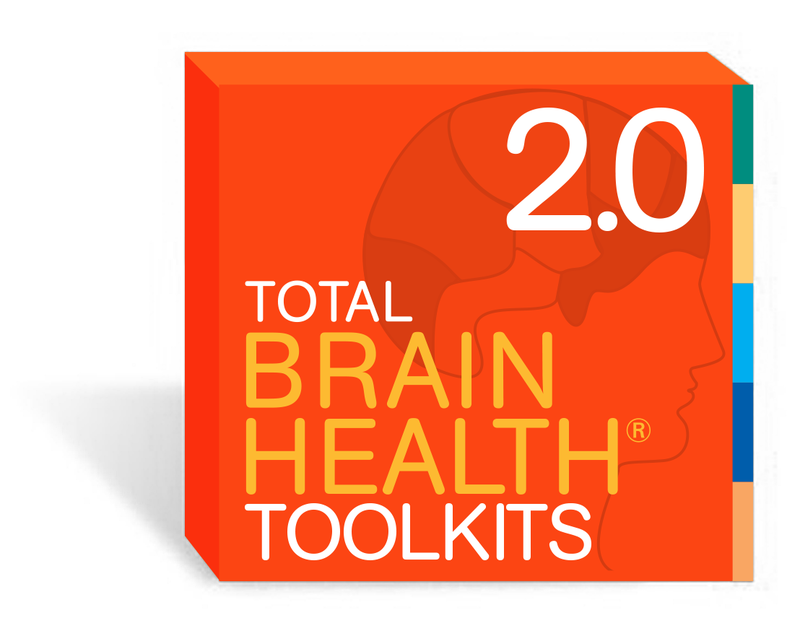 Dial in for the latest brain health news and best practices, exclusively for our TBH Toolkits facilitators. Easy access to staff through email or the phone. TBH Toolkits at your fingertips. Renewable 1-year license. Sign Up: Sign up now for your annual license. Get Started: Access the trainer materials and class resources on the password-protected online portal 24/7. All Set! Use the online marketing materials to help you promote class registration.